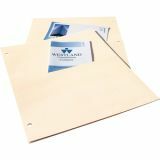 Handy to keep in binder for holding loose sheets. 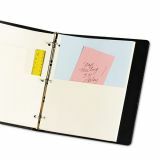 Pocket on front and back of each divider holds small or letter-size papers. 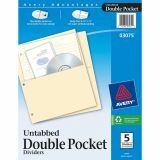 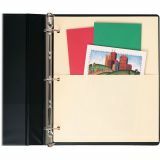 Avery Untabbed Double-Pocket Binder Pockets - Double pocket dividers store letter-size and smaller documents without punching or folding them. 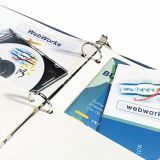 Three-hole punched to fit any standard three-ring binder. 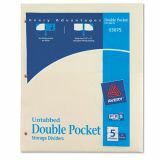 Each divider features two durable pockets, one on each side. 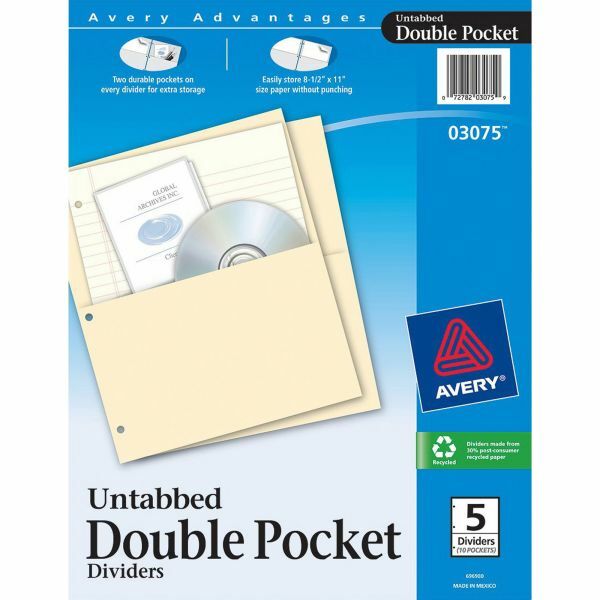 The simple tab-less design keeps papers sorted without the distraction of multiple tabs.